For years, we relied on our reception staff to juggle the flow of our lobby, while at the same time, answering the inbound calls of our clients. Because of the inconsistency of the traffic and the calls, RGBC was not providing the quality of service we promised our clients. By utilizing the PROS team, our calls are answered in a controlled environment by a professionally managed team, giving our reception staff the ability to tend to our clients in a less stressful environment. There is no doubt that your clients are more demanding than ever. Not only have they become dependent on your services, but they want them flawlessly. You can train your staff to do it all, but the reality is, they can’t always answer the phone, greet guests, manage meeting rooms and catering all at the same time. Therefore, calls are not answered in a timely manner; an act that is crucial to your client’s business. Your staff is busy greeting people, dealing with deliveries and answering general questions by other clients. That’s where the PROS come in, we are focused on only one task, managing your call flow. 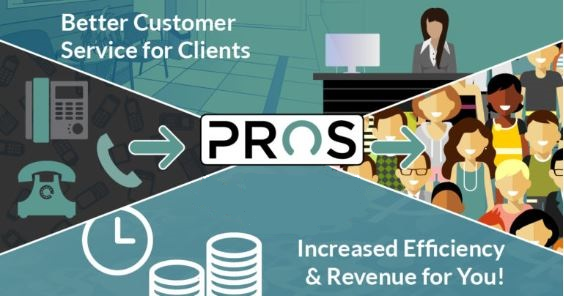 Our staff at PROS is committed to answering your calls efficiently, keeping your databases up to date and managing the quality of each call. Did we mention, we ensure a bilingual staff and have the ability to handle calls outside of your business hours? Available extended business hours allowing you to sell services outside your business hours.